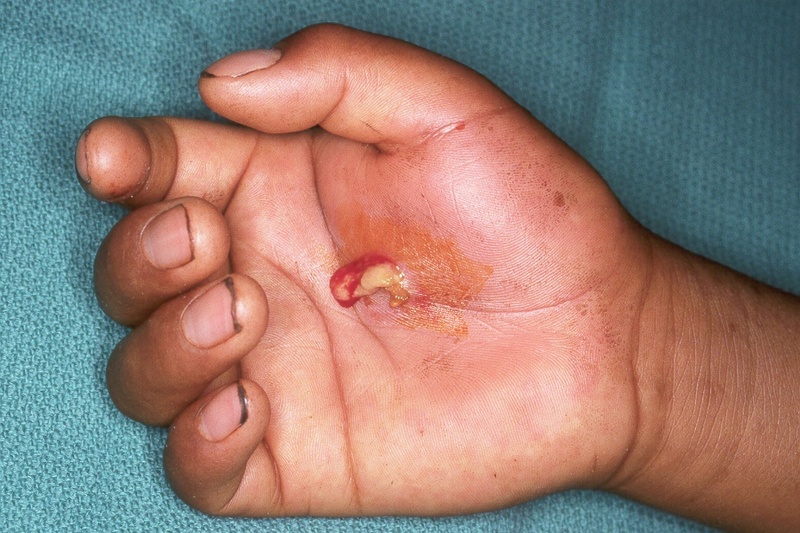 Deep hand infections pose several problems: unfamiliar anatomy, lack of clinical suspicion, ill-defined symptoms, and anatomic predisposition to spread to other deep spaces in the hand, fingers and forearm. The anatomy has been known since the publications of Kanavel. The thenar space is one such area, existing just superficial to the adductor pollicis muscle and bridging the transverse interval between the thumb and finger flexors. As with other deep space infections of the hand, anatomy may be distorted and regional, rather than space defined involvement may occur. As is often the case, the abscess margins were not well defined. The infection involved a volume from the skin, superficial palmar fascia, down through the carpal tunnel to the adductor muscle. 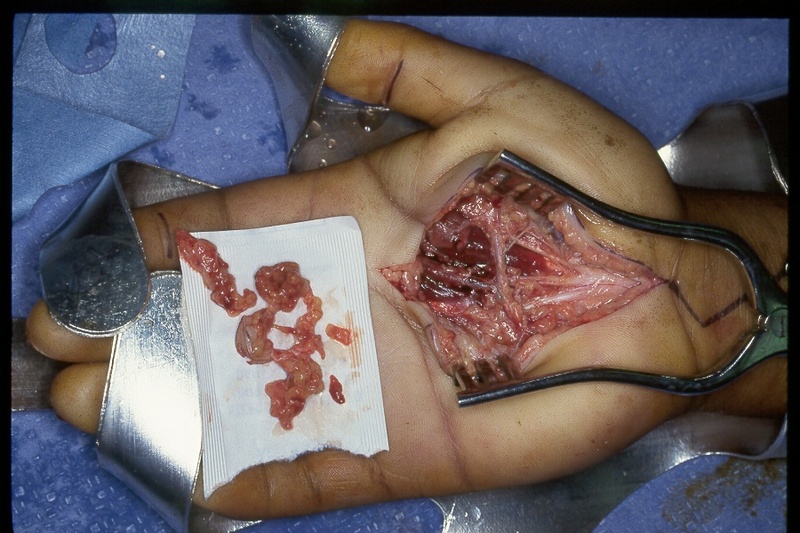 Branches of the median nerve and the superficial palmar arch are visible here. Excisional debridement, wound care, intravenous antibiotics, and delayed closure at five days resulted in cure.